1.1 These Terms govern Our relationship with You. This agreement does not apply to Customers (as that term is defined in clause 17.1) and it is Your responsibility to arrange contractual terms with Customers. By agreeing to these Terms, You consent to Customers gaining access to the Services and You must ensure the Customers provide the correct login information (which must be obtained from Us). At all times You are responsible for the Customer’s use of the Services. 1.2 Subject to these Terms, We grant you the right to allow Customers access, via Your own website, to the Services (including the online quoting facilities) and other ancillary services. You agree that only those persons that are expressly permitted by You and by Us will be allowed access to the Website (via Your own website). 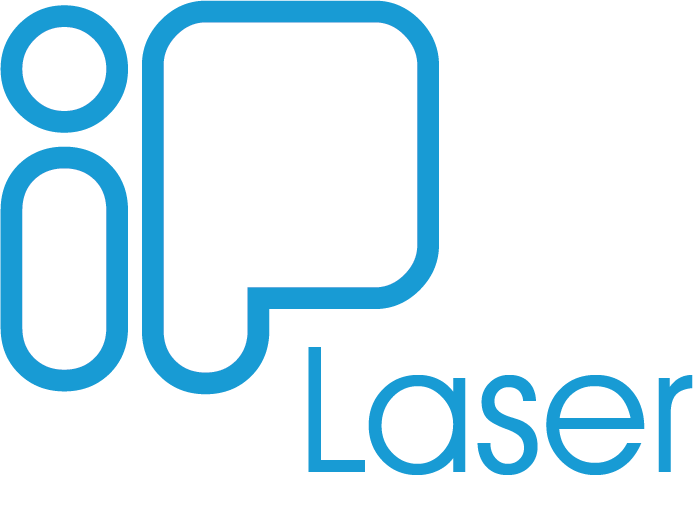 1.3 The purpose of the Services is to create, on Your behalf, quotes to Customers for laser cutting services based on information provided by You and a Customer. 1.4 If a Customer accepts Your quote (or a quote substantially the same) as a result of the Services, Your Credit Balance will debited in accordance with the Fee Structure. 2.1 We may amend the Terms at any time by publishing an updated version of this agreement on the Website or by written notification to You (which may occur by email or otherwise). Your, or a Customer’s, continued use of the Website following any amendment will indicate Your acceptance of the amended Terms. You must stop using the Website immediately, and must ensure Customers stop using the Website, if You do not agree to these Terms. 2.2 You must not use, or allow to be used, the Website if you are not of legal age to form a binding contract or are a person barred from accessing the Website under any applicable laws. 2.3 You agree to access and use the Website only for purposes that are permitted by these Terms and any applicable law, including any laws regarding the export of data or software within Australia or internationally. 2.4 You agree not to access or attempt to access the Services by any means other than through the browser interface that is provided by Us and as contemplated by this agreement. 2.5 You agree to fully comply, and ensure Customers fully comply, with any instructions set out in the Website. 2.6 You agree that you will not engage in any conduct that disrupts or interferes with the Website or the servers and telecommunications networks related to the Website. 2.7 You agree that you will not reproduce, duplicate, copy, or resell the Website or any output of the Website for any purpose providing that We agree to allow You to display the home page and sub-domains of the Website on Your website for the purpose of Your access, and the Customer’s access, to the Services. 3.1 In order for You to use the Services, You must become a registered user. To become a registered user, You must complete a registration application in the prescribed form and manner described on the Website. You must also contact Us at info@www.iplaser.com. 3.2 You agree to keep secure and confidential Your password and access authority associated with any use of the Website and You agree that You are solely responsible for all activities that occur within, or pertain to, Your account including use of the Services by Customers. 3.3 You agree to provide Your personal information, such as identification or contact details for registration purposes, and the Customer’s personal information. You agree to use Your best endeavours to ensure that any information provided to Us is accurate, correct and up to date and You warrant that you are authorised to provide such information to Us. You must notify us of any change to any information You provide to Us, including registration details as originally supplied. 3.4 Upon approval of Your registration, You will be provided with a password and account designation. You agree to pay for our Services in accordance with the Fee Structure or as agreed with Us in writing from time to time. 4.1 This agreement shall commence on the Commencement Date and shall continue unless terminated by either party in accordance with this agreement. 4.2 You may terminate this agreement by providing 30 days written notice to Us, provided that clauses 6.1, 6.2, 6.3 and 6.4 will remain in effect to the extent that any quote becomes an order at a date after termination. 4.3 We reserve the right to terminate this agreement and disallow Your access and any or all Customers’ access to the Website at any time upon 30 days written notice to You. 4.4 We may terminate this agreement immediately (or any time thereafter) if You are in breach of any of these Terms or if Your Credit Balance is nil. 4.5 Upon termination of this agreement pursuant to clauses 4.2 or 4.4 any remaining Credit Balance will be forfeited to Us. 5.1 Our Services rely on the accuracy of information You provide to Us (either directly or from a Customer) and information from sources which We believe to be accurate and up to date as at the date of publication. We reserve the right to update this information at any time. 5.2 We may also provide Optional Modules for use by You and by Customers. 6.1 You agree that We will debit your Credit Balance, in accordance with the Fee Structure, for any quote (or a quote substantially the same) arising from the Services which becomes an order from a Customer to You. 6.2 You must pay the Credit Balance to Us at or prior to the use of the Services in an amount that is reasonably estimated by You and Us to be sufficient to cover payment to Us in accordance with the Fee Structure. 6.3 You agree that We may use the Credit Balance to pay for fees owing to Us pursuant to this Agreement. 6.4 In the event that any fees are owed to Us and Your Credit Balance is not sufficient to pay those fees, You agree to pay those fees immediately upon Our demand to You. 6.5 Failure to ensure that a sufficient Credit Balance exists may result in Your inability to access the Website or termination of this Agreement by Us without prejudice to Our rights to recover from You all outstanding and future amounts owing. 7.1 We warrant to use all reasonable skill, care and diligence in the provision of the Services. 7.2 Notwithstanding the provisions of sub-clause 7.1, You acknowledge that You have entered into this agreement relying on Your own judgment and not upon any warranty or representation made by Us that the Services specified and selected by You or a Customer are suitable or adequate for You or a Customer’s particular business, purpose or commercial requirements. 7.3 You must ensure that access to the Website is not illegal or prohibited by laws which apply to You or a Customer or to the place where the You or a Customer accesses the Website. 7.4 You must not in any manner expose the Website to viruses, malicious computer code or other forms of interference which may damage Our computer system or disrupt the Services. 7.5 We do not accept responsibility for any interference or damage to Your or a Customer’s computer system which arises in connection with Your or a Customer’s use of the Services or any linked web site. 7.6 Apart from warranties contained in this Agreement or implied by law and which are incapable of exclusion, restriction or modification, We make no other warranty, representation or undertaking whatsoever in respect of the Services or any hardware, software or network environment that may be used or supplied. 7.7 We do not purport to provide any commercial, engineering or other professional advice through the Website and You must conduct Your own due diligence and assessment of all quotes arising from the Services. 8.1 The title, rights and the Intellectual Property Rights whatsoever in the Website or any information, software, material, technique, procedure or other know-how produced for or used in providing the Services pursuant to the provisions of this agreement shall remain vested exclusively in Us. 8.2 We do not claim ownership of the materials You or a Customer provide to Us, whether by post, upload, input or submission to the Website (“Drawings”). However, by posting, uploading, inputting, providing or submitting the Drawings, You grant Us, permission to use the Drawings in connection with the Services. By posting, uploading, or submitting the Drawings You warrant and represent that You own or otherwise control all of the rights to the Drawings including, without limitation, all the rights necessary to provide, post, upload or submit the Drawings and for Our use of the Drawings in providing the Services. 9.1 We do not make any representations or warranties that the information or quotes that We provide are error free or complete or that Your access to that information will be uninterrupted, timely or secure. We are not liable for any loss resulting from any action taken or reliance made by you on any information received or material posted by Us. You should make Your own inquiries and seek independent advice from relevant industry professionals before acting or relying on any information or material which is made available to You pursuant to our information arising from our Services. 9.2 Whilst We have no reason to believe that any information contained on the Website is inaccurate, We do not warrant the accuracy, adequacy or completeness of such information, nor do We undertake to keep the Website updated. We do not accept responsibility for loss suffered as a result of reliance by You upon the accuracy or currency of information (including quotes arising from the Services) contained on or supplied via the Website. 9.3 We do not give you any assurances that any information contained on the Website will be suitable for Your purposes or that it will be error-free. You agree that You will not rely on the any such information or its availability and that any reliance You make will be based on Your own independent assessments with the aid of qualified independent advice. (c) a default or malfunction in the systems or services of any third party. 10.2 To the fullest extent permitted by law, neither Us nor Our affiliates, subsidiaries, related bodies corporate, directors, officers, employees, agents, contractors, successors or assigns (collectively Our “Related Bodies”) will be liable for any damages, economic loss or other loss whatsoever arising out of, or in any way related to, the use or access of the Website. This limitation applies to direct, indirect, consequential, exemplary, incidental, special, punitive or any other losses or damages that You or others may suffer, as well as damages for loss of profits, goodwill, use, business interruption or the loss of data or information. 10.3 To the fullest extent permitted by law, We and Our Related Bodies’ liability for breach of any implied condition, warranty or undertaking which cannot be excluded is limited, at the Our option, to the supplying of the Services again or the payment of the cost of having the Services supplied again. 10.4 The limitation of Our liability applies whether the claim is in contract, tort (including without limitation, negligence) or equity and even if We have been notified of the possibility of such loss or damage. You agree that Our Related Bodies’ liability, if any, to You at law will be reduced by the extent, if any, to which You contributed to the loss. 11.1 You indemnify Us in respect of any liability incurred by Us for any loss, cost, damage or expense howsoever caused, or suffered by Us as a result of Your breach of these Terms. 12.1 We are not liable to You or any other party claiming through You in respect of anything which, apart from this provision, may constitute breach of this Agreement arising by reason of force majeure, namely, circumstances beyond Our control which prevent or limit Our ability to perform Our obligations pursuant to this Agreement. Circumstances which constitute a force majeure shall include (but shall not be limited to) acts of God, fire, flood, earthquake, explosion, sabotage, accident. embargo, riot, civil commotion, computer virus, breakdown of equipment, and failure of electrical supply or telecommunications links. 13.1 Privacy and security is very important to Us. We will ensure that Your information and data is handled sensitively, securely and with proper regard to privacy. We fully support the “National Privacy Principles” found in Schedule 3 of the Privacy Act 1988 (Cth). 13.2 More information on privacy legislation is available from the Federal Privacy Commissioner at http:/www.privacy.gov.au and You are requested to review Our Privacy Statement at http:l/www.ipLaser.com.au/about/privacy. 14.1 You acknowledge that no data transmission over the Internet can be guaranteed as totally secure. Whilst We will strive to protect such information, We do not warrant and cannot ensure the security of any information which You or a Customer transmit to Us. Accordingly, any information which You or a Customer transmit to Us is transmitted at Your own risk. Nevertheless, once we receive such information, We will take all reasonable steps to preserve the security of that information. 14.2 You will at all times be solely responsible for the security of all user names and passwords used to access the Website and conduct any transaction available via the Website. We will not be responsible for any unauthorised access to the Website or misuse of any user names or passwords. You must immediately notify us of any suspected or actual unauthorised access to a user name or password and if a person is no longer entitled to use a user name or password. 14.3 You must not, and must ensure Customers do not, compromise Our security environment or service availability through hacking, denial of service attacks and the like. 15.1 The Website may contain links to other web sites (“Linked Web Sites”). Those links are provided for convenience only and may not remain current or be maintained. 15.2 We are not responsible for the content or privacy practices associated with Linked Web Sites. 15.3 Our links with Linked Web Sites should not be construed as an endorsement, approval or recommendation by Us of the owners or operators of those Linked Web Sites, or of any information, graphics, materials, products or services referred to or contained on those Linked Web Sites, unless and to the extent stipulated to the contrary. 16.1 This agreement shall be governed by the laws of Victoria, Australia and each party irrevocably submits to the exclusive jurisdiction of the Australian Courts. 16.2 If We waive any right available to us under these Terms on one occasion, this does not mean that those rights will automatically be waived on any other occasion. 16.3 If any of these Terms is held to be invalid, unenforceable or illegal for any reason, the remaining Terms shall nevertheless continue in full force. 16.4 This Agreement constitutes the entire agreement between the parties. 16.5 Clauses 6.4, 7.1, 7.2, 7.6, 7.7, 9, 10, 11, this clause 16.5 and clause 17.1 survive any termination of this agreement. (c) provides information to Us for the purpose of creating a quote. “You” and “Your” means you, the registered user (as identified in the registration application) and, where applicable, includes Your employees.